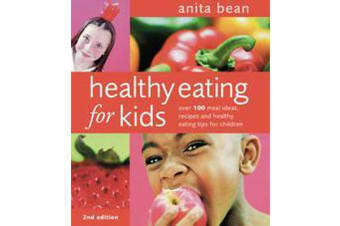 This second edition of the bestselling Healthy Eating for Kids is packed with essential up to date advice on healthy eating, feeding fussy eaters, dealing with an overweight child, and plenty of tips for no-hassle meals, quick snacks and lunch boxes, including brand new colour photographs of the recipes. It matters what children eat. The food they eat affects their health now, and it sets them up for the future. Children who enjoy a healthy, varied diet are more likely to be full of energy, feel brighter and more alert, suffer fewer colds and illnesses, and concentrate better at school. But healthy eating doesn’t have to mean boring meals. It’s all about making nutritious food appealing and fun for kids – and appearance counts as much as taste! Tested by parents and tasted by children, Anita’s recipes will give you new idea and inspiration on what to feed your kids.